After my wonderful trip to Sicily, I made again this recipe (adapted from a recipe shared by “Food and Wine” magazine) and paired with some great Sicilian wines discovered during the trip. Try it with or without the tomato sauce, both are great! 1. Preheat the oven to 350 F (about 175 C). 2. 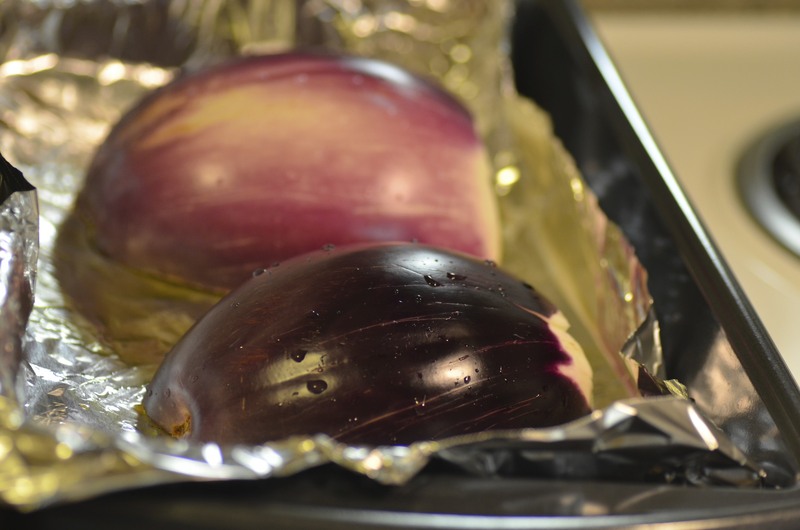 Spread olive oil on the baking sheet. 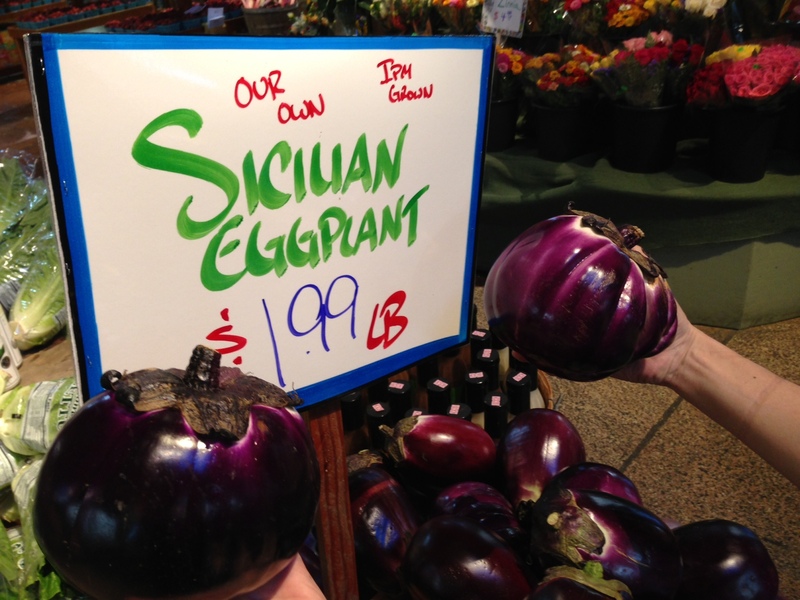 Cut the eggplant in half, put on the backing sheet and prick the skin of the eggplant with a fork. Roast until very soft (about 40 min). Let it cool slightly and discard the skin. 3. Meanwhile in a heatproof bowl, cover the porcini with 1 ½ cups of boiling water and let it stand until softened (about 30 min). Drain reserving the soaking liquid. Rinse the porcini to remove any grit. Chop the porcini. 4. In a pan, heat the olive oil, add the onions, half of the garlic and cook in medium heat until softened, add tomatoes and pour in the porcini soaking liquid, stopping before reaching the grit. 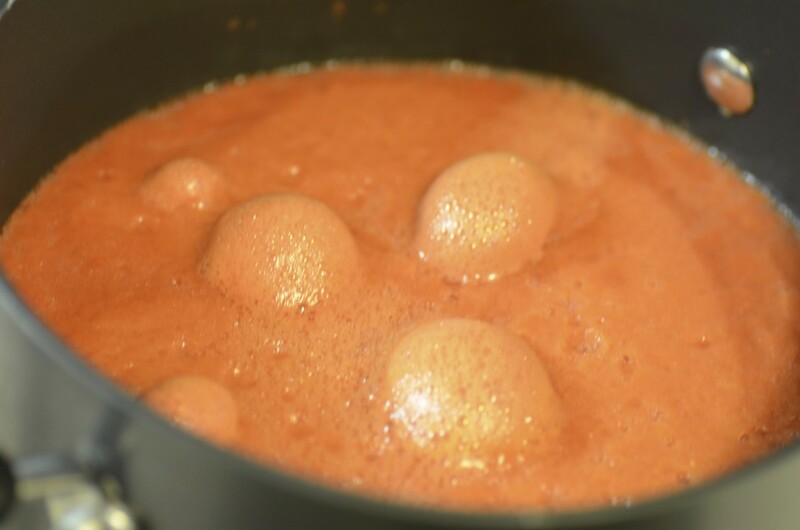 Bring to a boil and simmer in low-medium heat stirring, until thickened (about 30-40 min). Add 1 tablespoon of basil, nutmeg and season with salt and pepper (skip this step if making only as an appetizer – without the tomato sauce). 5. In a food processor, add the eggplant, porcini, scallions, basil, chilly pepper, parsley, the remaining of the garlic, cheese and mix. Transfer to a bowl and add the eggs, 1 teaspoon of salt, 1/3 teaspoon of pepper and mix. 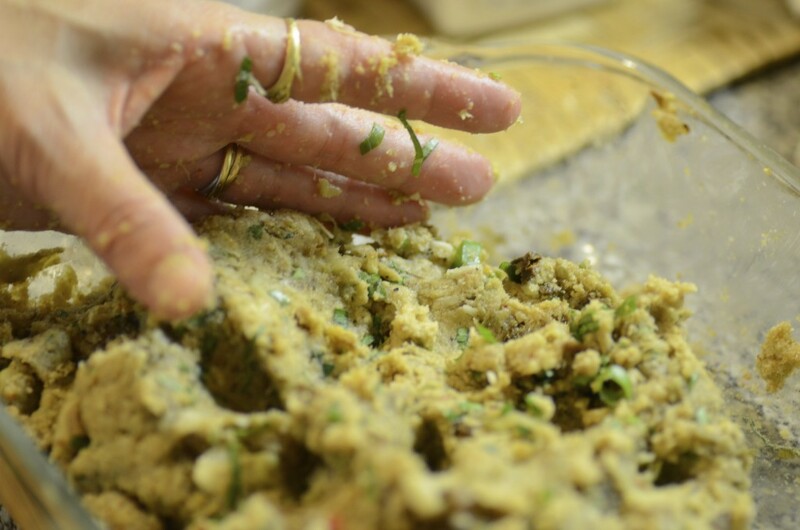 Add slowly the bread crumbs until the mix has good consistency to make balls that are firm (3/4 to one cup of bread crumbs). 6. Make about 1 inch balls from the eggplant mixture, rolling tightly. 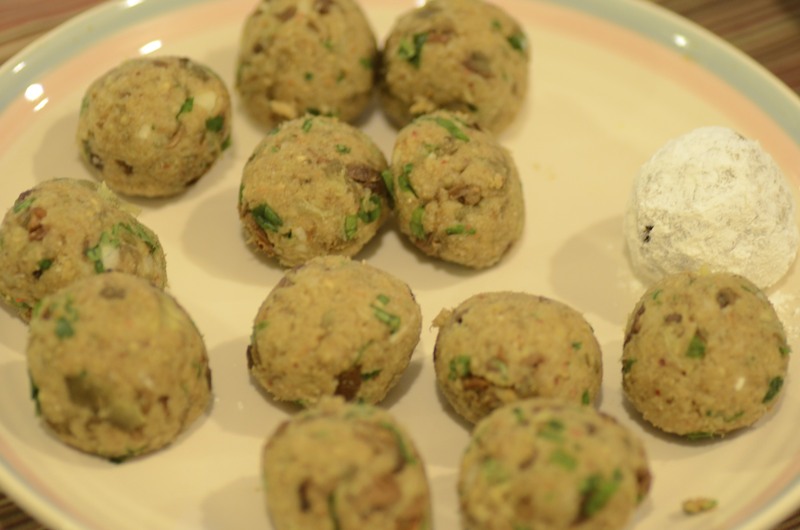 Add flour to a plate and roll the balls on the flour to cover completely. Refrigerate balls for about 20 minutes. 7. In a large nonstick skillet, heat vegetable oil. Add a number of the balls at a time and cook over moderately high heat, turning occasionally until browned (about 5 min). Drain on paper towels. Otherwise, add the balls to the tomato sauce and serve. 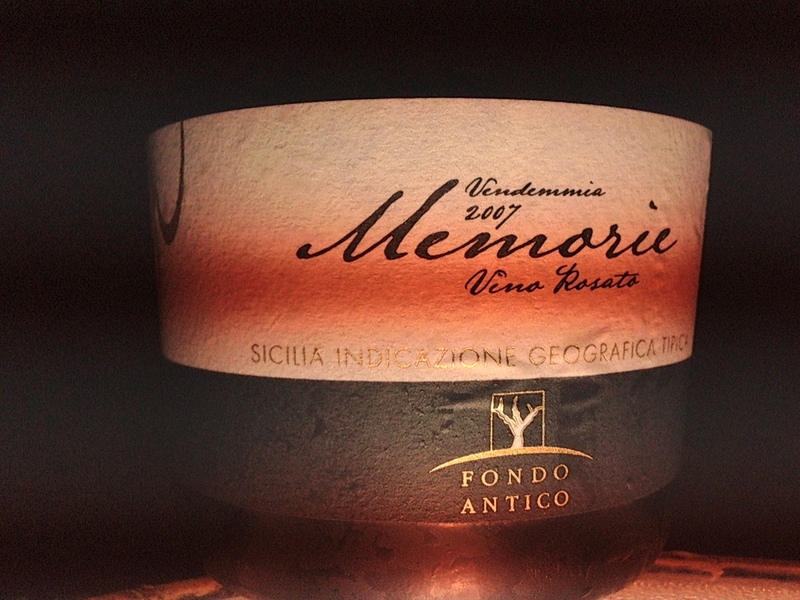 Another recommendation (without tomato sauce): Fondo Antico “Memorie” Rosato 2007. 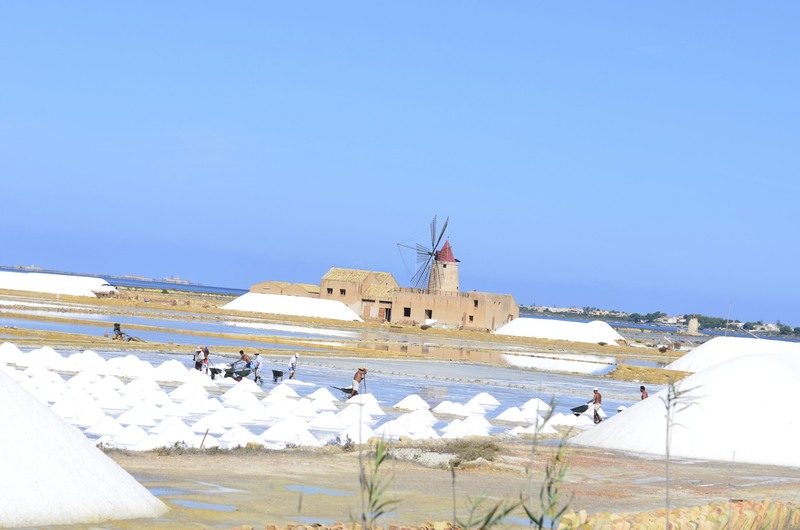 Made from 100% Nero d’Avola, this it’s not your typical Rosé wine. Starting with the fact it is from the 2007 vintage and it is still amazingly fresh… Complex and intense, it will match this dish perfectly. 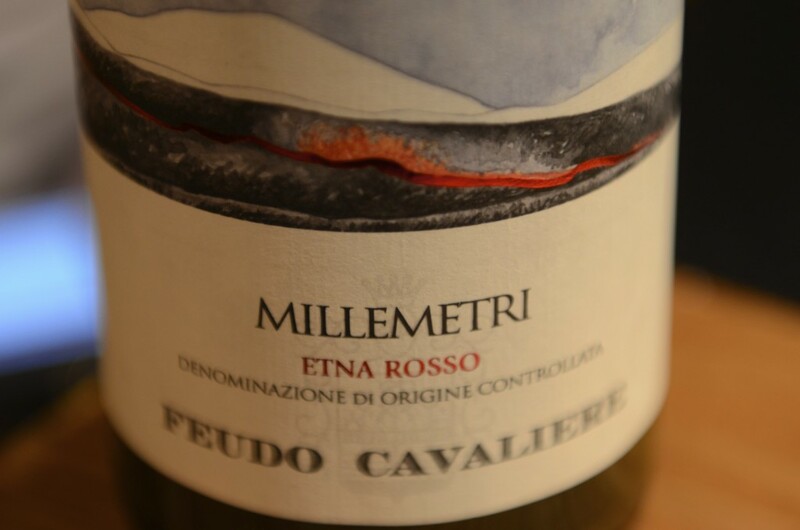 This one is from Etna… 100% Nerello Mascalese from Feudo Cavaliere. The freshness and juicy fruit of this wine will work really well with this dish. Specially, if you are having the balls with tomato sauce. 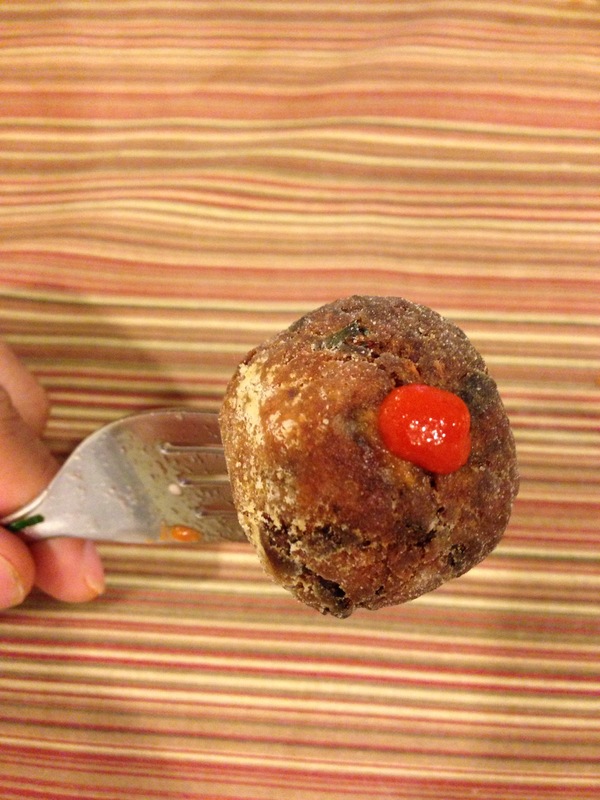 4 Responses to Recipe: Sicilian eggplant and porcini balls (and three great pairings). 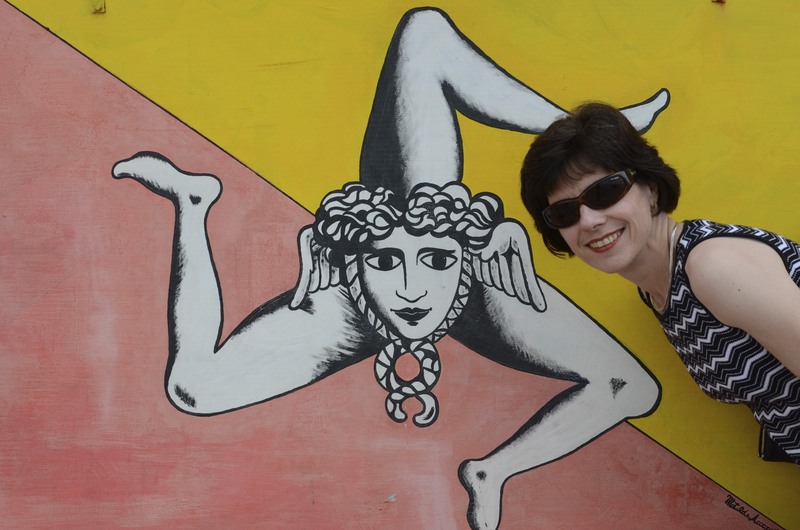 I can not wait to try these, Nanci! My kids each just about everything but they are always picking the mushrooms out of their dinner. I have long thought that it has to do with their color rather than their flavor. This creation might just change their minds. The pairings sound wonderful. I think I would grab the Nero d’Avola Rosato first big fan. Thank you VERY much…this sounds wonderful!